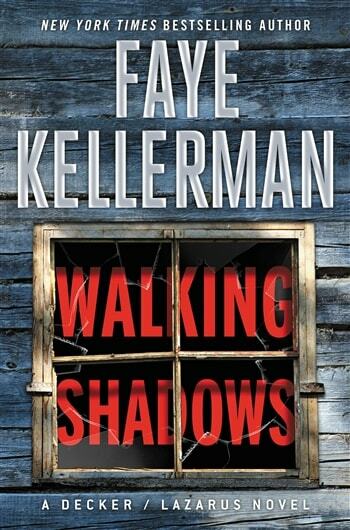 VJ Books Presents Author Faye Kellerman! Faye Kellerman was born in St. Louis, Missouri and grew up in Sherman Oaks, California. She earned a BA in mathematics and a doctorate in dentistry at UCLA. 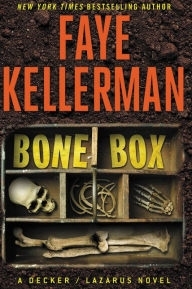 Kellerman's groundbreaking first novel, The Ritual Bath, was published in 1986 to wide critical and commercial acclaim. The winner of the Macavity Award for the Best First Novel from the Mystery Readers of American, The Ritual Bath introduced readers to Peter Decker and Rina Lazarus, termed by People Magazine "Hands down, the most refreshing mystery couple around." 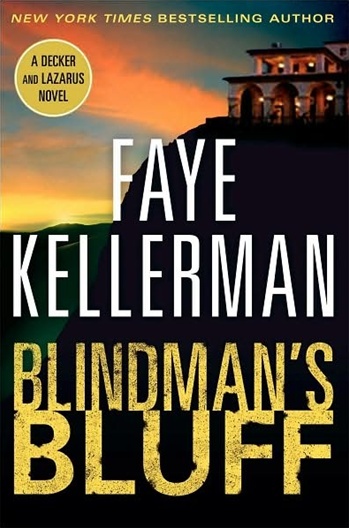 There are well over twenty million copies of Faye Kellerman's novels in print internationally. 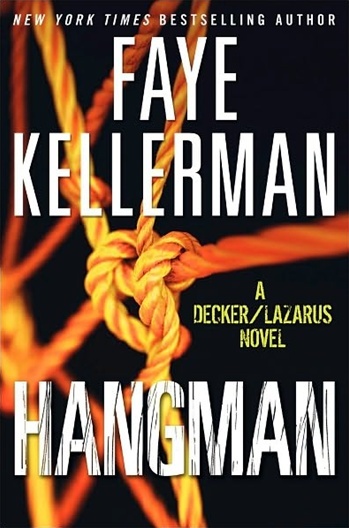 The novels Stalker and Street Dreams introduced Kellerman's newest protagonist, Police Officer Cindy Decker. 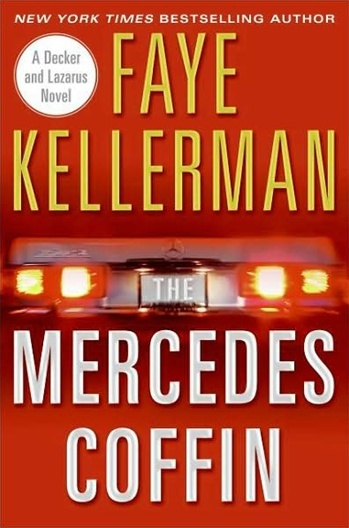 In addition to her crime series, Kellerman is also the author of New York Time's bestseller Moon Music, a suspense horror novel set in Las Vegas featuring Detective Romulus Poe, as well as an historical novel of intrigue set in Elizabethan England, The Quality of Mercy. 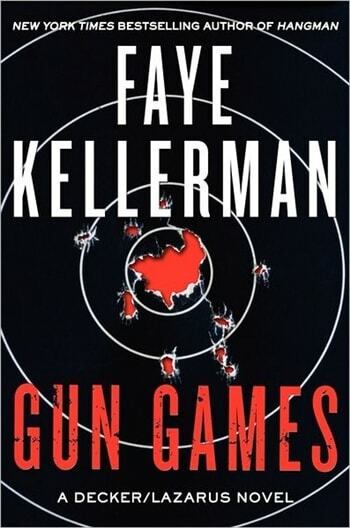 She has also co-authored the New York Times Bestseller Double Homicide, with her husband and partner in crime, Jonathan Kellerman. She has also written a young adult novel, Prism, with her daughter, Aliza Kellerman. Her other hobbies include gardening, sewing and jogging. She had four children, and her eldest son, Jesse, has published five novels including his latest Potboiler which was nominated for an Edgar Allen Poe Award. She lives in Los Angeles and Santa Fe with her author husband, Jonathan. Signed Hardcover Book. 2006 NY: Random House First edition, first printing, mint, new/unread in a flawless dust jacket, signed by both authors. Each dust jacket is protected in an acid-free archival quality acetate cover. Signed Hardcover Book. 2004 NY: Warner First edition, first printing, mint, new/unread, flawless dust jacket, signed by both authors. Each dust jacket is protected in an acid-free archival quality acetate cover. Signed Hardcover Book. 2004 NY: Warner First edition, first printing, fine in a fine dust jacket, signed by both authors. Each dust jacket is protected in an acid-free archival quality acetate cover. First Edition Hardcover Book 2004 NY: Warner First edition, first printing, new/unread in flawless dust jacket. Each dust jacket is protected in an acid-free archival quality acetate cover. Author Signed Hardcover Book. August 2009 NY: HarperCollins First edition, first printing, mint, new/unread in a flawless dust jacket, signed by the author. Each dust jacket is protected in an acid-free archival quality acetate cover. Author Signed ARC 2017 NY: William Morrow Advance reading copy, new in pictorial wraps, signed by author. Author Signed Hardcover Book. February 2017 NY: HarperCollins First edition, first printing, mint, new/unread in a flawless dust jacket, signed by the author. Each dust jacket is protected in an acid-free archival quality acetate cover. Author Signed Hardcover Book. 1991 NY: Morrow First edition, first printing, mint, new/unread, flawless dust jacket, signed by author. Each dust jacket is protected in an acid-free archival quality acetate cover. Author Signed Hardcover Book. 1992 NY: William Morrow First edition, first printing, mint, new/unread in a flawless dust jacket, signed by the author. Each dust jacket is protected in an acid-free archival quality acetate cover. Author Signed Hardcover Book. 1992 NY: William Morrow First edition, first printing, fine in a fine dust jacket, signed by the author. Each dust jacket is protected in an acid-free archival quality acetate cover. Author Signed Hardcover Book. 2001 NY: Morrow First edition, first printing, mint, new/unread, flawless dust jacket, signed by author. Each dust jacket is protected in an acid-free archival quality acetate cover. Author Signed Hardcover Book. 2001 NY: Morrow First edition, first printing, fine in a fine dust jacket, signed by the author, remainder marked. Each dust jacket is protected in an acid-free archival quality acetate cover. Author Signed Hardcover Book. 2006 NY:Warner Books First edition, first printing, mint, new/unread in a flawless dust jacket, signed by the author. Each dust jacket is protected in an acid-free archival quality acetate cover. Author Signed ARC 1993 NY: Morrow Advance Reading Copy, mint, new/unread in flawless wrappers, signed by the author. Author Signed ARC 2012 NY: William Morrow Advance reading copy, new in pictorial wraps, signed by author. Author Signed Hardcover Book. January 2012 NY: HarperCollins First edition, first printing, mint, new/unread in a flawless dust jacket, signed by the author. Each dust jacket is protected in an acid-free archival quality acetate cover. Author Signed Hardcover Book. August 2010 NY: HarperCollins First edition, first printing, mint, new/unread in a flawless dust jacket, signed by the author. Each dust jacket is protected in an acid-free archival quality acetate cover. 1999 NY: Morrow First edition, first printing, new/unread in flawless dust jacket. Author Signed ARC. 1999 NY: Morrow Advance reading copy, mint, new/unread in flawless pictorial wrappers, signed by the author. Author Signed Hardcover Book. 1999 NY: Morrow First edition, first printing, fine in a fine dust jacket, signed by author. Each dust jacket is protected in an acid-free archival quality acetate cover. Author Signed Hardcover Book. 1995 NY: Morrow First edition, first printing, mint, new/unread in a flawless dust jacket, signed by the author. Each dust jacket is protected in an acid-free archival quality acetate cover. Author Signed Hardcover Book. August 2008 NY: William Morrow First edition, first printing, mint, new/unread in a flawless dust jacket, signed by the author. Each dust jacket is protected in an acid-free archival quality acetate cover. Author Signed Hardcover Book. 1990 NY: William Morrow First edition, first printing, mint, new/unread in a flawless dust jacket, signed by the author. Each dust jacket is protected in an acid-free archival quality acetate cover. Author Signed ARC. 1998 NY: Morrow First edition, first printing, fine in fine pictorial wrappers, signed by the author. Author Signed Hardcover Book. 1998 NY: Morrow First edition, first printing, mint, new/unread, flawless dust jacket, signed by author. Each dust jacket is protected in an acid-free archival quality acetate cover. Author Signed Hardcover Book. 2014 NY: Morrow First edition, first printing, mint, new/unread in a flawless dust jacket, signed by the author. Each dust jacket is protected in an acid-free archival quality acetate cover. 1996 NY: Morrow First edition, first printing, new/unread in flawless dust jacket. Author Signed ARC 1996 NY: Morrow Advance Reading Copy, mint, new/unread in flawless wrappers, signed by the author. Author Signed Hardcover Book. 1996 NY: Morrow First edition, first printing, mint, new/unread in a flawless dust jacket, signed by the author. Each dust jacket is protected in an acid-free archival quality acetate cover. 1994 NY: Morrow First edition, first printing, new/unread in flawless dust jacket.